The LG 24GM77 is a 24″ monitor aimed at the premium gaming market. 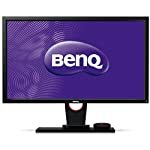 You’ll pay a bit more for this class of monitor but you get the reassurance that it has been built with gamers in mind. With more and more gaming monitors entering the market it’s becoming harder to stand out amongst the crowd, so let’s see if the LG is worthy of your hard earned pounds. 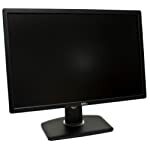 The 24GM77 is a full HD monitor sporting a 1920 x 1080 resolution. Whilst other monitors are reaching for higher pixel counts you shouldn’t discount HD right now. 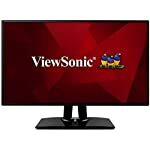 Higher resolution monitors attract premium prices and then you need a graphics card capable of powering it. It seems a very reasonable decision to stick with HD especially if 24″ is your preferred screen size. Whilst I wouldn’t recommend getting anything smaller, this form factor is still perfect for most desk setups and the larger sizes aren’t for everyone’s tastes. The LG offers a super response TN panel with 1ms response times, but on top of that it can be cranked up to 144Hz allowing you super smooth images assuming your GPU can handle that number of frames per second. It also comes with blur reduction technology so rest assured the engineers at LG have been looking after your gaming needs. The LG is a mixture of shiny and matt black plastic, you would be forgiven for thinking it has a cheap look to it but rest assured it does the job. The large, shiny, base offers a good deal of stability whilst the stand itself is fully adjustable, even allowing you to move the screen round into portrait mode when the need arises. Nothing to complain about here but other monitors at this price point have a more premium finish in my opinion. The 24GM77 has the full range of connectors, DisplayPort, VGA, DVI and two HDMI ports. So you’ll have no problems connecting this monitor up to any normal graphics card. But do that if you want to take advantage of the 120hz or 144hz refresh rates you’ll need to use a DisplayPort or dual link DVI cable. You won’t get the required bandwidth on VGA! The monitor has built in USB 3.0 ports and headphone socket for your convenience. 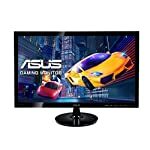 This monitor is aimed at the game players so there are a number of features that should help make setting this up for gaming more easy. For example you can select a number of game ready configuration profiles from the menu system. This allows you to quickly set the monitor up for the right refresh rates, select overdrive technology to improve response times or turn on the Motion 240 blur reduction system. The LG includes Motion 240 blur reduction technology which aims to give a much clearer sharper moving image. By inserting a back light scan between each frame the monitor hopes to reproduce a more ‘CRT’ like experience. It does actually make a positive impact so it is worth switching on. However it only works at 100 or 120hz refresh rates and it does reduce the maximum brightness of the screen. Default colour calibration is good according to reports, which is not always the case for gaming monitors. However this monitor is based on a TN panel so expect colours to distort when viewed from extreme angles. This is normal for such a screen and shouldn’t be a problem for gamers sat at their desks right in front of the screen. The up side of a TN based monitor is fast response times and you’ll find the monitor is perfect for fast action games with input lag so minimal you’ll never notice it. Overall this is a good effort from LG, good colours, great gaming images and a reasonable price to boot. We give the LG 24GM77 a 5 out of 5 rating. Want to know what existing owners of the monitor think? You can read real user reviews here. 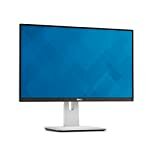 Should I buy the LG 24GM77? The LG is a high performing games monitor capable of 144 super smooth frames a second. It might be showing its age a little as it doesn't come with adaptive sync which is becoming standard now for gaming systems. This is only an HD 1080p screen so you might also want to think about higher resolutions although at 24" you should be about right. If you are having some doubts about this purchase then why not read some real owner reviews and see what other buyers think. Welcome to the LG 24GM77 FAQ. This section attempts to answer common questions you may have, please get in touch if you have any more queries or if you think our answers need updating. What cable comes with this monitor? Packages can vary from region to region so do check with your supplier, however users report that it comes with a DVI cable but no DisplayPort. You’ll want to use the latter if possible to get the best out of the monitor.